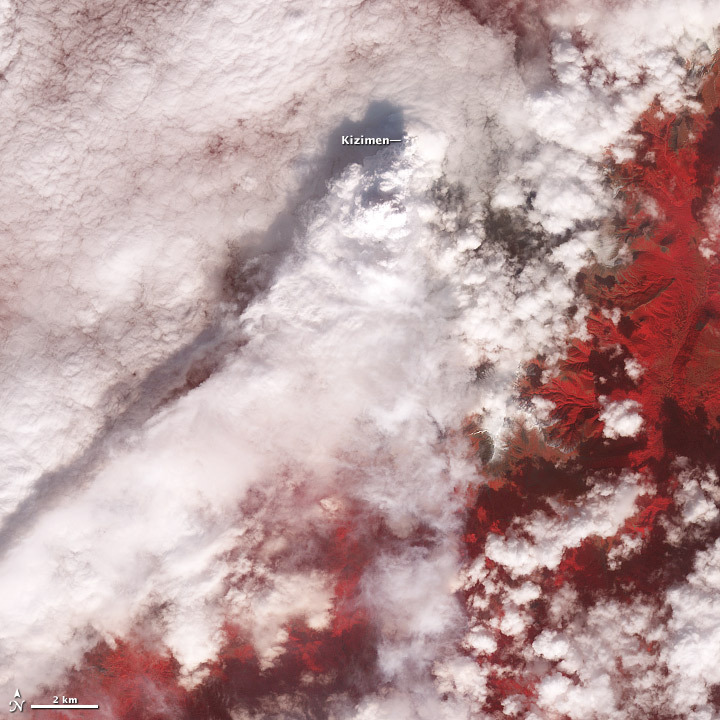 Credit: NASA Earth Observatory images by Robert Simmon, using Suomi NPP VIIRS data from Chris Elvidge (NOAA National Geophysical Data Center). 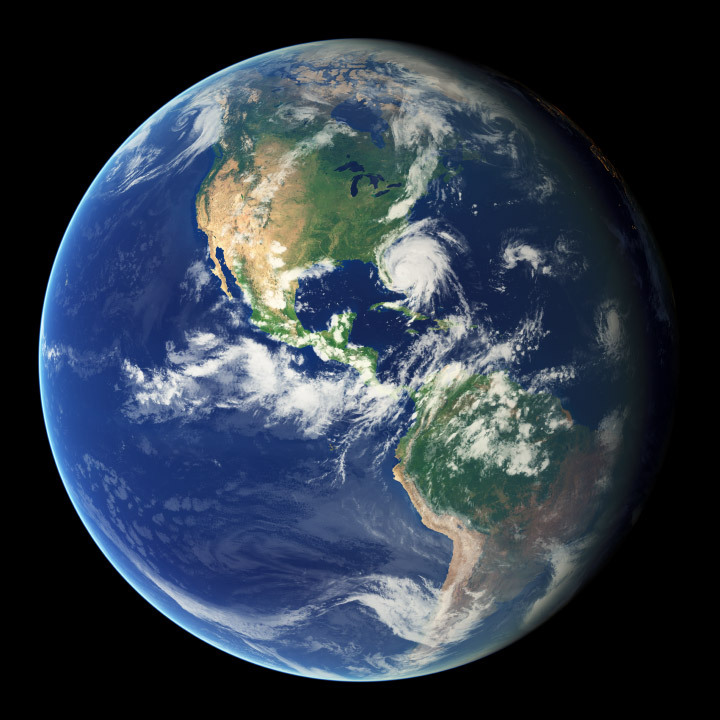 Suomi NPP is the result of a partnership between NASA, NOAA, and the Department of Defense. I’m giving a talk about the development of the Blue Marble tomorrow at the Information Week Government IT Leadership Forum. In addition to some details of the render, I’ll discuss the history of NASA’s views of the Earth, starting with TIROS-1, continuing through the Apollo Program, interplanetary probes, and the Earth Observing System. If you’re attending and want a copy of the presentation (or are just curious), here it is. If you check the hidden slides you’ll some interesting images I won’t have time to discuss. 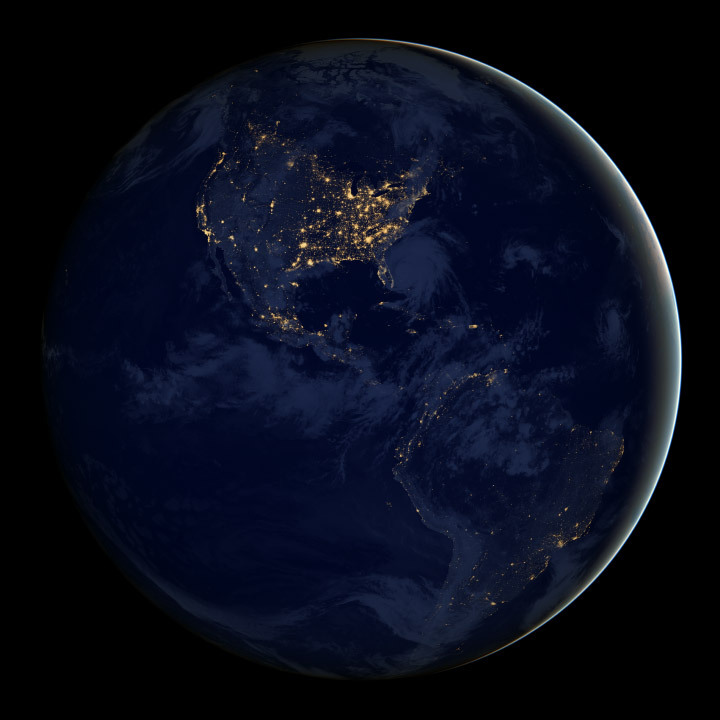 The Blue Marble True-color global imagery at 1km Resolution. My original blog post, Crafting the Blue Marble. The Blue Marble Next Generation—A true color Earth dataset including seasonal dynamics from MODIS. (880 kB PDF). 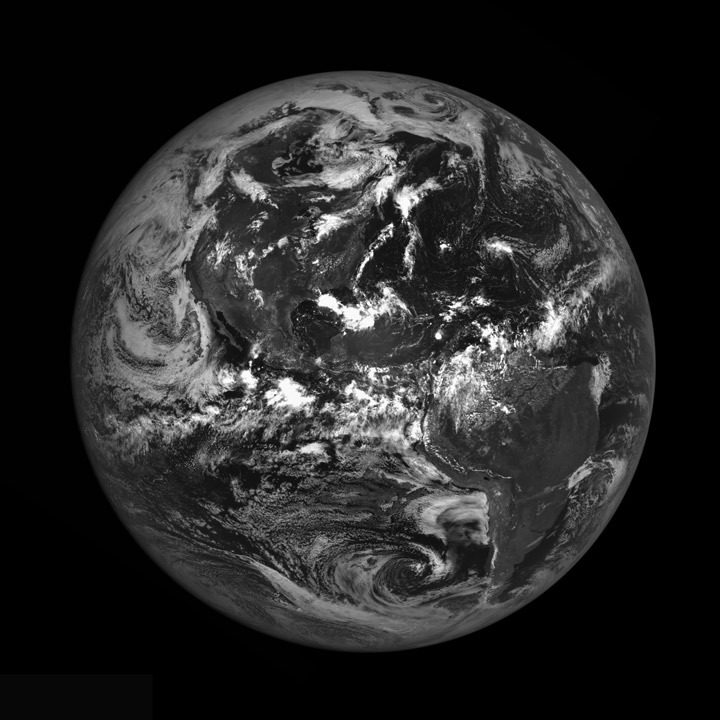 Pictures of Earth by Planetary Spacecraft The Planetary Society. 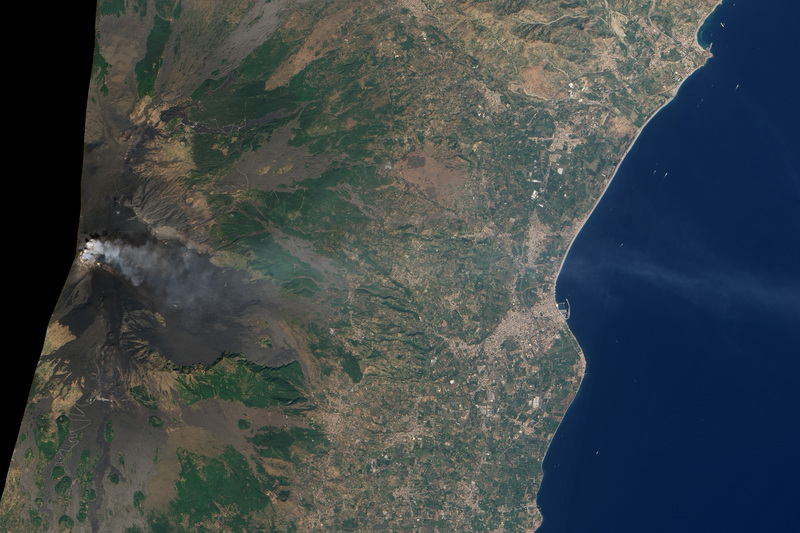 Natural-color satellite image of Mount Etna, Italy; acquired on September 18, 2011, by the Advanced Land Imager (ALI). Credit: NASA Earth Observatory/EO-1 Science Team. 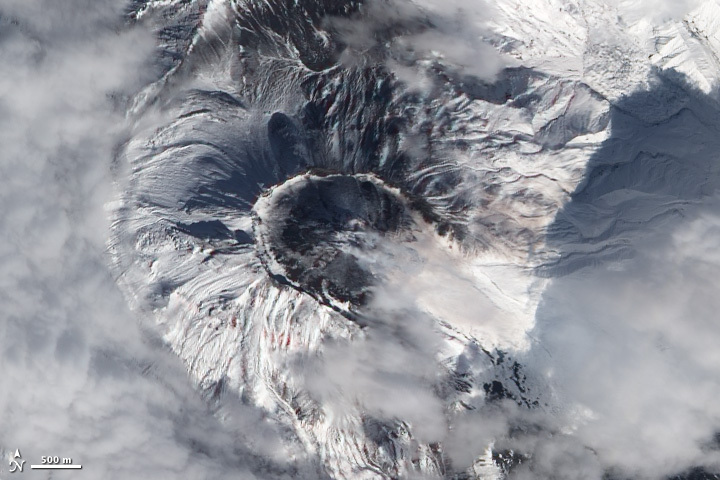 Natural-color satellite image of Bezymianny Volcano, Russia; acquired on September 20, 2011 by the Advanced Land Imager (ALI). Credit: NASA Earth Observatory/EO-1 Science Team. 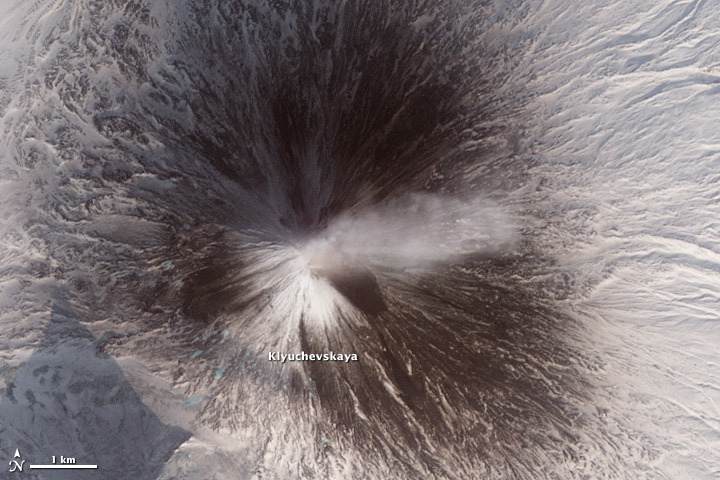 False-color satellite image of Kizimen Volcano, Russia; acquired on September 21, 2011, by the Advanced Spaceborne Thermal Reflection and Emission Radiometer (ASTER). Credit: NASA Earth Observatory and the NASA/GSFC/METI/ERSDAC/JAROS, and U.S./Japan ASTER Science Team. 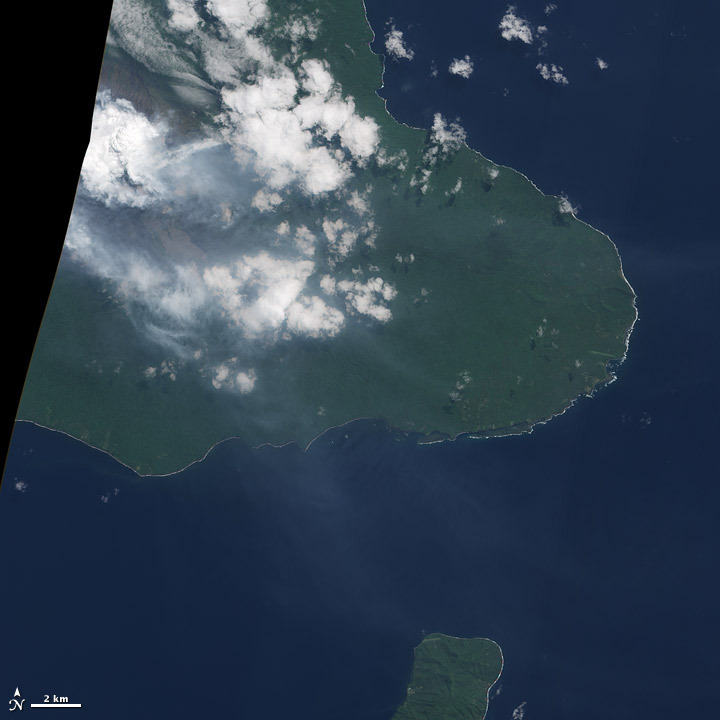 Natural-color satellite image of Ambrym Volcano, Vanuatu; acquired on September 23, 2011, by the Advanced Land Imager (ALI). Credit: NASA Earth Observatory/EO-1 Science Team. 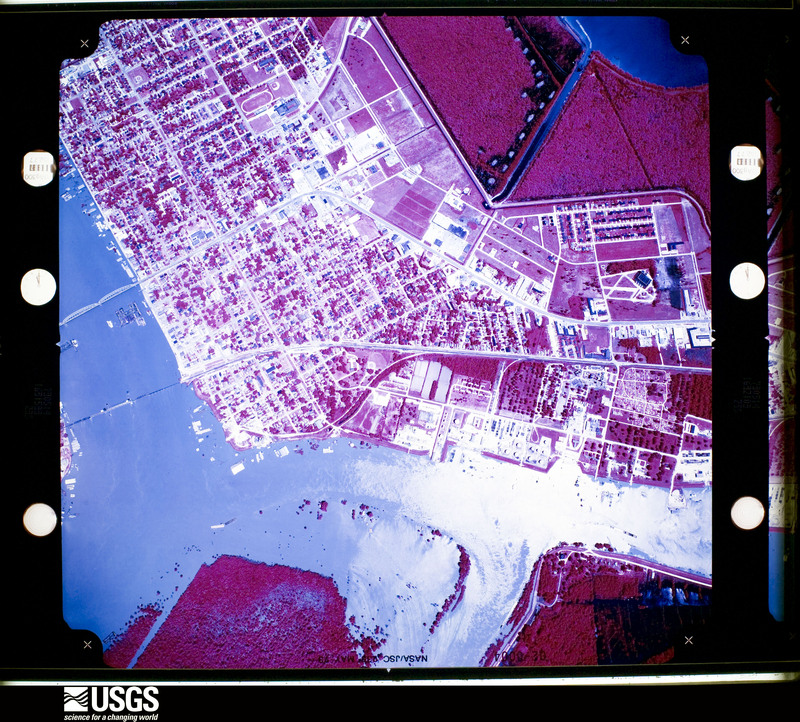 Once upon a time Landsat images were expensive (Landsat 7 data was $600 per scene, and the earlier satellites were even pricier) and difficult to find. Now the data—which dates to 1972—is free, and reasonably easy (or at least not painfully difficult) to browse and download from the Global Visualization Viewer, or even the Google Earth Engine (which still has some rough edges). Poke around, and let me know what you find. The photos were taken about 3 seconds apart, from 11:20 to 11:31 UTC, September 3, 2011. 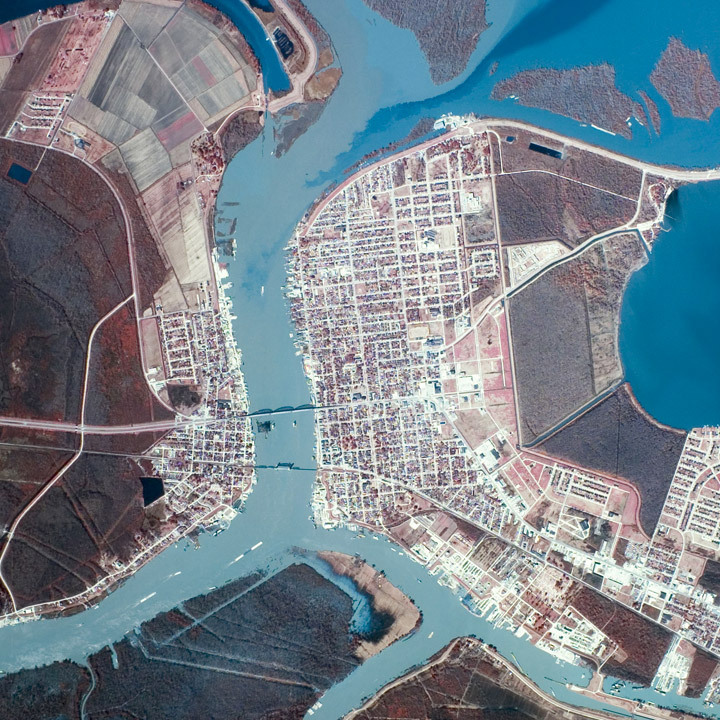 Images from the Gateway to Astronaut Photography of Earth. Although this could have just been a curiosity for passing pilots and astronauts, it turns out that Johnson Space Center scientists used the letters to estimate the maximum resolution of cameras aboard the Space Shuttle. We also made an empirical estimate of spatial resolution for lower contrast vegetation boundaries. 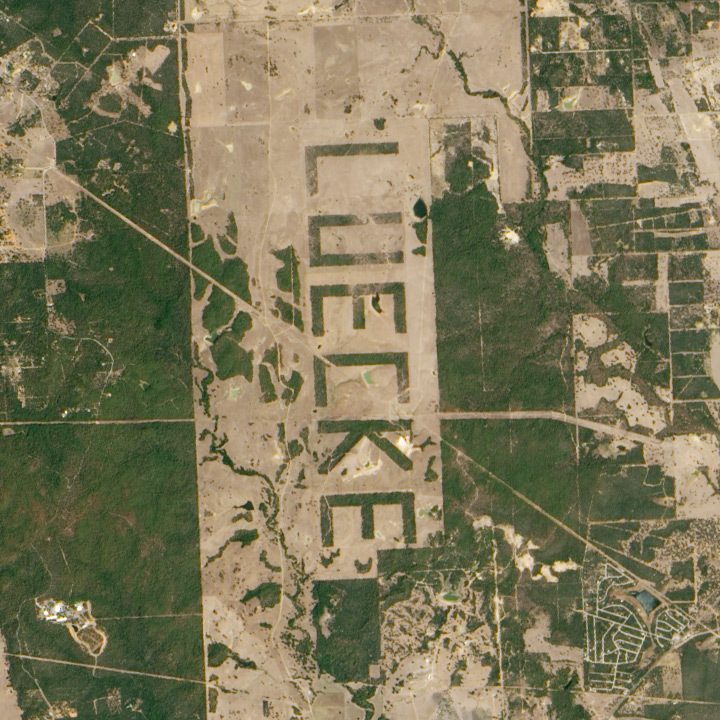 By clearing forest so that a pattern would be visible to landing aircraft, a landowner outside Austin, Texas (see also aerial photo in Lisheron 2000), created a target that is also useful for evaluating spatial resolution of astronaut photographs. The forest was selectively cleared in order to spell the landowner’s name ‘LUECKE’ with the remaining trees (figure 10). According to local surveyors who planned the clearing, the plan was to create letters that were 3100 ´ 1700 ft (944.9 ´ 518.2 m). Photographed at a high altitude relative to most Shuttle missions (543 km) with a 250-mm lens, Formula 3 predicts that each pixel would represent an area 28.6 ´ 36.0 m on the ground (table 5). When original film was digitised at 2400 ppi (10.6 mm/pixel), letters correspond to 29.4 ´ 18.8 pixels for a comparable pixel size of 27 – 32 m.
It’s reminiscent of the map of Italy I saw on a hillside near Castellucio, in the Apennines, or even the Nazca Lines. What other examples of landscaping visible from space are out there? 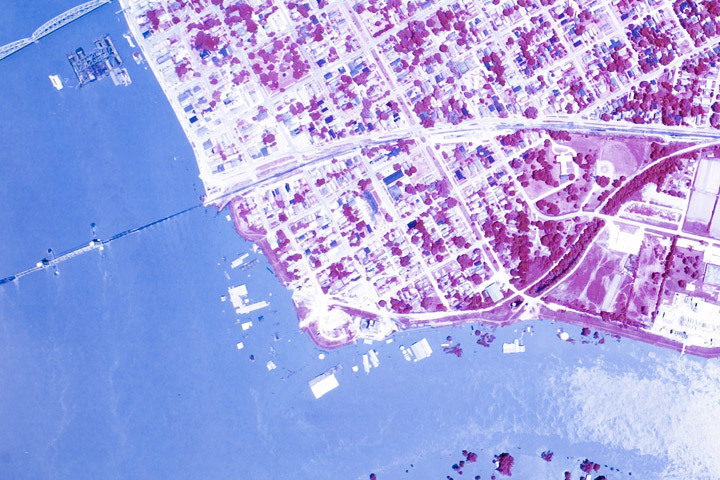 While poking around looking for imagery of the 1973 flooding on the Mississippi, I discovered some fascinating, very high resolution aerial photography. Images of Morgan City—a community near the mouth of the Atchafalaya River that was damaged by flooding in 1973, and will likely be hit by rising water in the next few weeks. 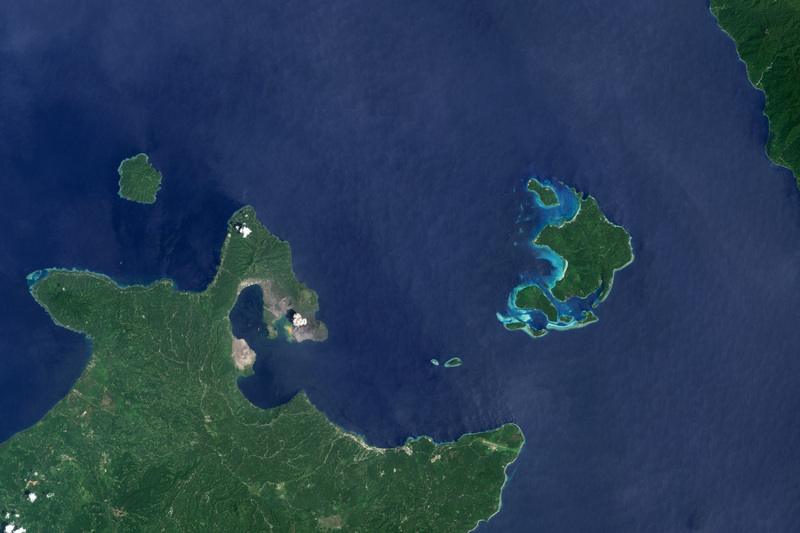 Both are false color, but the May image is either a poor scan or the originals have degraded. 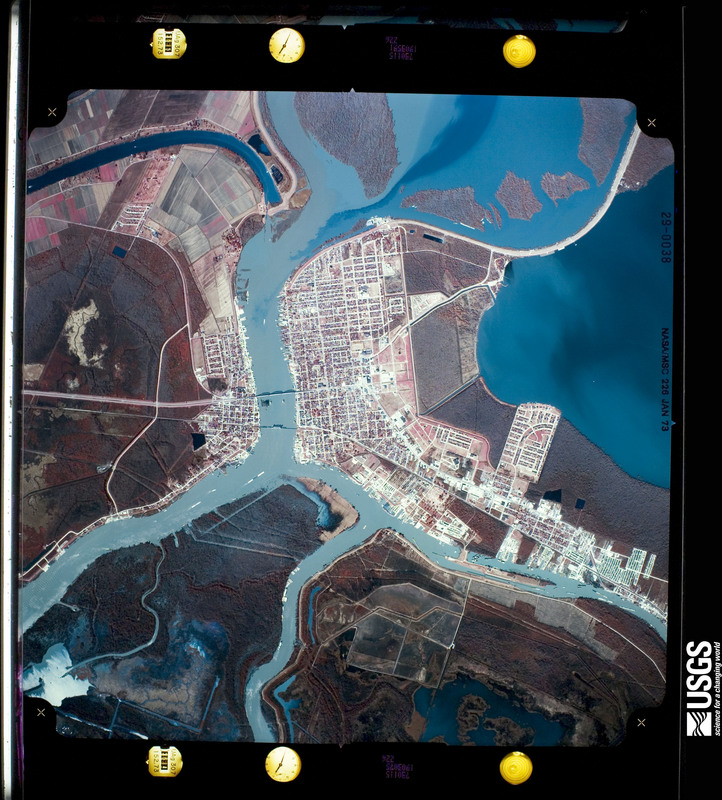 These photographs, and thousands like them, are available from Earth Explorer, the online USGS archive of satellite data and aerial photography. John Mcphee’s essay “Atchafalaya” from his book The Control of Nature beautifully describes Morgan City and the 1973 flood. 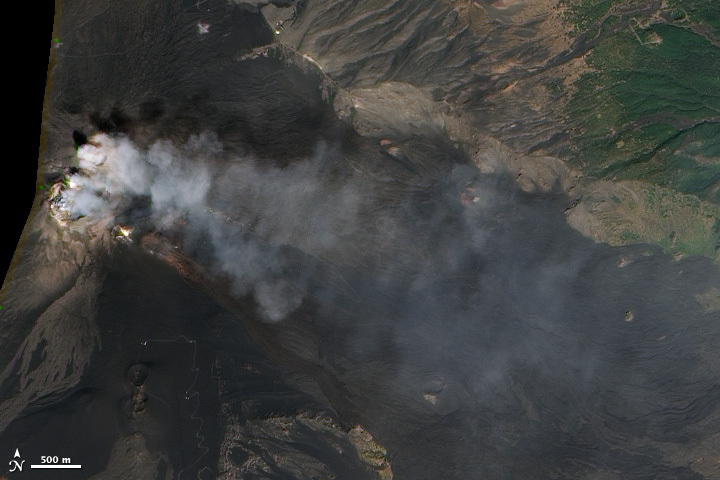 Russia’s Kamchatka Peninsula is perhaps the most volcanically active spot on the planet. 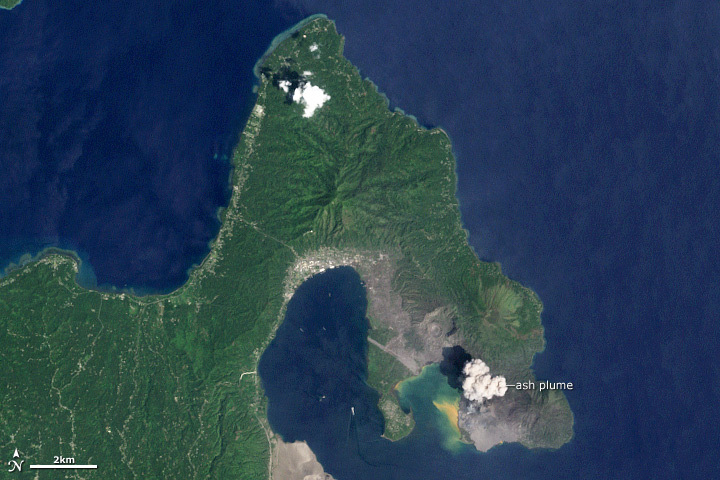 Last week’s Global Volcanism Program weekly report (for February 16–22, 2011) listed three Kamchatkan volcanoes currently in eruption—Karymsky, Kizimen, and Shiveluch—and two others—Bezymianny and Klyuchevskaya—were mentioned earlier in February. In one overpass a NASA satellite captured four of these volcanoes in one narrow overpass, only 60 kilometers wide and 300 kilometers long. All of them exhibit plumes. I zoomed in on the most spectacular—Kizimen and Shiveluch—for our Natural Hazards section, but I’d like to share Klyuchevskaya (below) and the entire image—all 9,822 by 20,729 pixels of it (13 MB JPEG). NASA Earth Observatory image by Robert Simmon, using data from the NASA/GSFC/METI/ERSDAC/JAROS, and U.S./Japan ASTER Science Team. 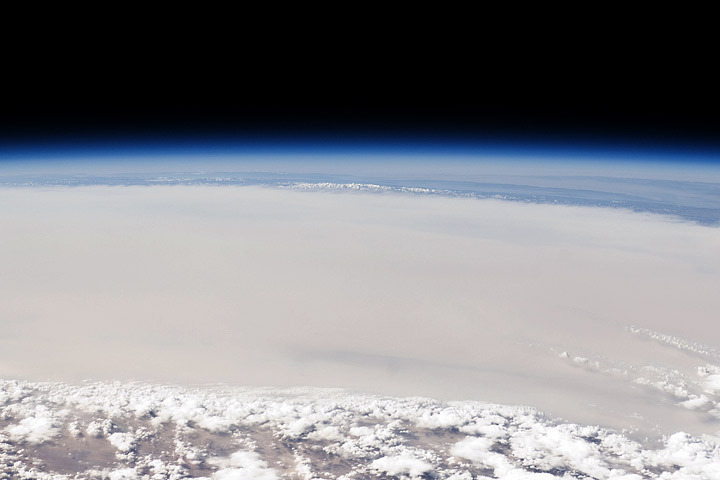 An astronaut took this photograph of dust obscuring the Taklamakan Desert, with the Tien Shan mountains in the distance, on September 5, 2010.